Web Design Brief questionnaire creation is the first important step before preparing an offer for the client. The details, expectations and scope of the project are needed before you can answer the most common question of all: “How much will a website cost?”. 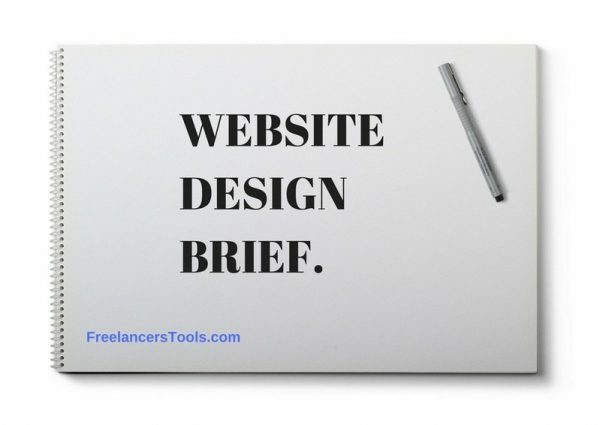 Therefore, you should use the Web Design Brief questionnaire before starting to write a Web Design Proposal. In this way you “reserve” your time only for the best-qualified leads, rather than for everyone who asks for a proposal. And what are the reasons we need a high quality Web Design Brief questionnaire? You can use the Web Design Brief questionnaire via email, phone, Skype or in a one-on-one meeting. It can be very difficult to get the necessary information from your leads, but with different approaches it is doable. 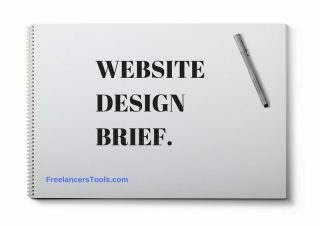 Below is our Web Design Brief template, with more than 70 design questions for your clients that we collected from 2011. It gives you more than solid foundation to get all the info you need to create great websites for your clients. Have a good time! Web Design Brief questionnaire in the PDF format, ready to be sent to your clients. Click below to unlock the link and download FREE non-writable PDF form. If you make a donation you will also get FREE writable white labeled Word document via e-mail. Have you already purchased your domain name URL? Do you have quality WordPress hosting? E.g. SiteGround hosting – highly quality and WordPress specialized hosting with affordable pricing and 24/7/365 top support. If you already purchased a domain name URL, do you want to move it to recommended SiteGround hosting? In this way you would have your domain and hosting in one place. If you already have an email address, do you want to move it (together with emails) to SiteGround hosting? In this way, you would have your business email addresses and hosting in one place. Please, state the primary product(s)/service(s) of your company. Give us as much background information about your company as possible. This text could be incorporated into your website. Do you have a slogan or tagline that clearly describes what you offer regarding benefits or features? It’s okay either not to have a slogan or have one (even simple one). What industry does your business belong? Be as precise as possible in the definition of the industry you operate. How your products/services help other people to solve their problems, in what ways? What do you offer that your competition doesn’t offer? What are the advantages of your products/services/working experience? Something that differentiates you from your competition? Reasons customers should choose you rather than your competitors? It might be that you’ve been in business twice as long as any of your competitors or that your customers stay with you for an average of 5 years, you offer excellent service, you have the best products on the market, you have the best prices on the market, etc. Do you have any proof that your products/ services are better than your competition? E.g. clients’ testimonials, products comparisons/ reviews, feedback from clients, some other proof of excellence. Do you want us to create your business websites’ email & Gmail addresses? You need to have a professional e-mail address but it would also be useful to have a backup Gmail address in case your business email address is not accessible for any reason(s). All your business emails can be forwarded automatically to your Gmail address that can serve as a backup solution for business mails. What is the main goal of this website? What is your motivation for getting in touch with us? What do you want this website to do for your company? What will happen if you don’t get a new website or you don’t have your current website redesigned? E.g. your current website may not be fully functional in browsers, or you have decided to sell online and your current website isn’t capable for that, etc. Describe your design aims and requirements in detail — the more specific, the better. E.g. some websites use white space and limited text to give a relaxed feel while others use many images and text to give the website a busy feel. Define what you want the “feel” of your website to be: Funny, Casual, Formal, Professional, Cutting Edge, etc. Do you have any color palette/ font preferences? In case you have some personal preferences for colors/fonts to be used on your website, provide them to us. Be careful that your website’s design preferences are aligned with your logo design preferences. Any specific visual goals for your website? Do you want to design your website based on your specific website goals? If yes, can you list those specific website goals? If you had a seasonal marketing campaign or your corporate identity needs to be revised, it will help to provide past design samples. Or the direction you and your organization wish to take in future. Do you have any current marketing materials that you want to incorporate into the design? Do you want to use existing marketing materials? What you DON’T WANT on your current website (if you have a website)? E.g. what text, type of content, etc. What do you DISLIKE about your current website (if you have a website)? What are websites’ weak points? What do you LIKE about your current website (if you have a website)? What are websites’ strong points? How many pages will your website have roughly? What is your desired website’s structure? List all page names you wish to have on your website. Put together a draft outline/sitemap of the new website to be designed and built. Define which pages will be part of your main, and which part of secondary navigation. List all the languages you want to have on your website. State which language will be the primary language, secondary language, etc. You will provide translations/translator for all languages or you would like us to take care of it? Do you have a final text/ copy/ graphics/ videos for the website ready to go? Any photographs provided should have a high resolution. The best resolution for photographs is 300dpi (dots per inch). Any text, photographs, illustrations or other material provided should be given to the designer before work commences, as it can be a drain on time and resources if a designer is left waiting for these things halfway through a project. All materials provided by the client should be in the final form without need for further revisions. Any content you delivered needed to be adjusted/optimized will be charged an hourly rate. Any changes that have to be made after the design has been agreed and work done will need additional time and cost money. Content usually takes forever to be prepared. If you have copy writing skills or you can team up with somebody, you could speed up the content production process and we can finish the project faster. Where is the website content coming from? When you provide images/text/video/audio or any other material, it’s crucial also to provide information on the legal permissions that have been obtained for the use of the material (if possible). If any attribution is required, the details should be provided to us before we start working on the project. This is also valid for any materials that are provided by third parties. Do you need basic training to change and add content on your website (WordPress CMS features)? We can provide you comprehensive training so you are able to create & update website’s content completely by yourself. Do you have a logo of your company/ organization? If you have a logo, send us a copy of its largest image as well as the color codes of your brand. For the best result, the logo should be provided in vector format. The most common vector formats are Postscript (.eps) and Illustrator (.ai). A vector format allows the logo to be made bigger or smaller without losing image quality. A .jpg file is not a vector format and usually doesn’t represent a client’s logo at its best, depending on its size. If you already have a logo, why do you want a new logo? If you don’t have a logo, what colors would you like to see in your logo? It’s usually best to stick up to two colors that are complimentary. It’s better to get it all right from the very start. Do you have any colors that you don’t wish to use? Is the logo for your website, your company or your product? Select what type(s) your logo should be? E.g. typography, abstract, symbol, silhouette, corporate, initial, fun, etc. What words or letters do you want to be included in your logo? Type in exactly as you want it. Example: script, bold, light, hand drawn, custom lettering. Do you want your slogan/ tagline to be included in the logo? Slogan can be included in your logo, if that is feasible. Provide a few adjectives to describe your logo. What attributes of your business/ organization would you like your logo to reflect? Should the logo reflect the attitude of the company or is it independent of the company? Can you provide links and visual examples? E.g. Business cards, Envelopes, Letterhead, all of the mentioned? You need to be in sync with any other materials you already have. State your main competitors, their business names and the websites’ links. Use Google to search for 3 websites that you LIKE in terms of text, content, color, graphic elements, etc. Please explain in short why you like them and what to include in your design. Sometimes you already know what your website should look like or be similar to – no need to re-invent the wheel. Use Google to search for 3 websites that you DON’T LIKE in terms of text, content, color, graphic elements, etc. Please explain in short why you don’t like them. Not following your dislikes can get us all into trouble and prolong website’s creation. It’s better from the project’s side to know such things in advance. Who are you trying to attract with your marketing message? Who is the primary audience you would like to reach and who are the secondary audiences? Please describe your potential customers – be specific: nationally or internationally (which countries?). Pay particular attention to their income, interests, gender, age, even type of devices they will use to browse your website. If your website is a business-to-business site, what sort of companies are you hoping to attract? These questions help to understand better your potential visitors and therefore allow to more accurately plan the website design and development. What main keyword words/ phrases would you like to use to make it easier for people to find your website via search engines? E.g. if you were using Google, what words or phrases would you use to find your website? Come up with a reasonable list for at least 3 to 5 of words/phrases. Which of keyword words or phrases is the most important, which is second, third…? For example: “dance dress, right dance dress, Los Angeles dance dress”. Are you interested in letting us write articles for your website? We can write and optimize your articles for Google searches (SEO optimization). Do you intend to market your company over other Internet channels (besides your website)? How do you intend to promote your company: are you going to use social media (we recommend Facebook, Twitter and Google+ and there are others: Pinterest, LinkedIn, Instagram, etc.? ), Google AdWords, Facebook ads, email list, ads websites, etc. Do you plan to publish posts by yourselves on social networks or would you like us to do it instead? Regular and appropriate content creation encourage engagement and lead generation on your website. Do you want to manage your social networks profiles/ pages/ channels by yourselves or would you want us to do it for you? Appropriate setup of social networks profiles/pages as well as quality and timely communication through various channels is of crucial importance in building your reputation and relationship with current & possible customers. Where does the majority of your traffic come from? Your website, Google search, Social Networks (Facebook, Twitter, G+, Pinterest, YouTube, etc. ), Trip Advisor, various posts, etc. What actions do you want visitors to take on the website? Visitors can buy products, be educated, fill out the form, etc. Will you measure your goals by the number of visitors? Will you measure your goals by the new inquiries you get? Will you measure your goals by the number of leads generated? Will you measure your goals by the level of activity on your website’s blog? Will you measure your goals by the number of sales made? Will you measure your goals by the number of social media (Facebook, Twitter, etc.) followers? Will you measure your goals by the users of your website’s forum? Will you measure your goals by something else? Who is the decision maker on this project? What is the turnaround time for making individual decisions? We must have your time commitment for providing us with answers on our questions/requests otherwise the project can be prolonged for a longer period. Who on your staff will be responsible for receiving feedback from the visitors? In order to avoid possible “conflicting input from multiple people” problem, we need to have only one main responsible person. Not every website needs to have the same features and sometimes you could ask the features on your website that you really don’t need. Are you planning to do online sales? If so, what is the product and how many items do you want to sell online? Are you open to accept credit cards? How much time will you be able to spend online, responding to e-commerce inquiries that come in via your website? Once a day? Several hours a day? Would you like your website to have regular website’s maintenance / updates / communication with the visitors? If you don’t have enough knowledge or time we offer maintenance (system, security, speed up, visitors statistics reports), website’s content updates, answers on visitors questions, etc. What is your organizations data? Do you have a deadline for completing the website (deliverable schedule)? Usually, our deadline/website delivery is 4-6 weeks, depending on the Project’s size and our other priorities/availability. Our goal is to agree with you on the realistic deadline for website’s delivery. When a website is completed, in what time do you expect your website to contribute in increasing your business? Once your new website is up, it will take time for the promotional activities to show results. You would need to be patient to see concrete results. What is your expected budget for this project? Around $1.000 USD, between $1.000 and $3.000, $5.000, more than $5.000? The goal is to make a clear realistic budget for both sides. Please include other comments or questions you would like addressed before starting the project, if there are any. We are open for any discussions/questions you may have. How do you like our Web Design Brief questionnaire? Do you think we covered all the aspects you think are important in Web Design Brief? Would you like to add anything else in above Web Design Brief? You can share your additional questions in the comments below. If you would like to read some questions/answers on freelancing, check our Freelancing Knowledge Base. Husband and a father. I love everything related to technology, especially WordPress. Highly active in the WordPress Community and helped many since 2011. I attended a few WordPress Meetups in my hometown and on one I gave a lecture on speeding up WP sites. Very helpful Ivica. Maybe build some of the top level questions into an initial contact form? Thx a lot Peter… and why not? Nice! Any possibility of getting an editable version of this? Great form. I am going to use some of this to adapt my form that I use. Thanks for sharing. Glad you like it. 🙂 Good luck! Thx Zaki for your visit and feedback. Could you please explain what the writeable document is in more detail. Is it also a PDF? Does writeable mean that I am able to edit the questions in the PDF or does it mean that the client is able to answer the questions in the PDF? I would also like to know if the Freelancertools.com branding is removed with the donation. Thank you.